Perfect for a couple who want to enjoy a countryside break, this barn conversion is also within easy reach of the Yorkshire coast. 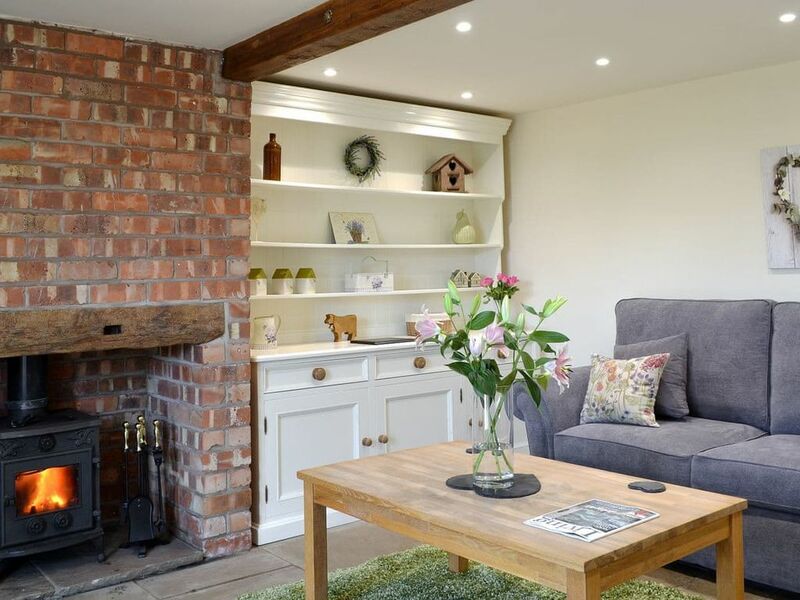 Situated along a quiet country lane, this quaint, detached barn conversion is located on the edge of the North York Moors National Park, a haven for walkers, cyclists and outdoor enthusiasts. Highfield Barn has been very comfortably furnished, and provides a charming holiday home with stone flagged floors, a cosy wood burner and a spiral staircase. There is an Indian restaurant and a fish and chip shop all just a short stroll away, and a renowned farm shop and tearoom in neighbouring Beadlam. The picturesque market town of Helmsley, 3¾ miles, offers a selection of restaurants, superb delicatessens and traditional teashops, alongside an interesting array of shops, galleries and boutiques. Local attractions include Helmsley Castle, Helmsley Walled Garden, the National Centre for Birds of Prey and Helmsley Arts Centre, and a visit to the town’s very own brewery is not to be missed. From the popular market town of Pickering, 10 miles, the famous North Yorkshire Moors steam train transports visitors through stunning scenery to the ancient fishing port of Whitby. The traditional seaside resorts of Scarborough and Filey, and the quaint coves at Robin Hood’s Bay and Staithes are all easily accessible. Visit the abbey ruins at Rievaulx and Byland, and stately homes at Nunnington Hall and Castle Howard. The medieval walled city of York is less than an hour’s drive, steeped in history and with a wealth of attractions, theatres and art galleries. Shop and restaurant ¾ mile, pub ¼ mile. Living room: With wood burner, Freeview TV, DVD player and flagstone floor. Kitchen/dining room: With electric oven, electric hob, microwave, fridge with ice box and washing machine. Electric heaters, electricity, bed linen and towels included. Initial logs for wood burner included. Sitting-out area with garden furniture. Private parking for 2 cars. No smoking. Spiral stairs to first floor.